Peninsula Lighthouse is the leading provider of behavioral health services for children, adolescents, and adults in the Knoxville area. As a division of Parkwest Medical Center, Peninsula Lighthouse offers a full spectrum of services to individuals with addiction and mental health problems. Their centers are conveniently located in Blount, Knox, Loudon, and Sevier counties. One in four persons in eastern Tennessee suffers from a mental health problem or addiction which can cause severe consequences if left untreated. That’s exactly the main purpose of Peninsula Lighthouse – to allow affected persons to recover from their substance abuse or mental health problem and start a healthier and happier life. Recovery is possible with well-structured treatment and support. 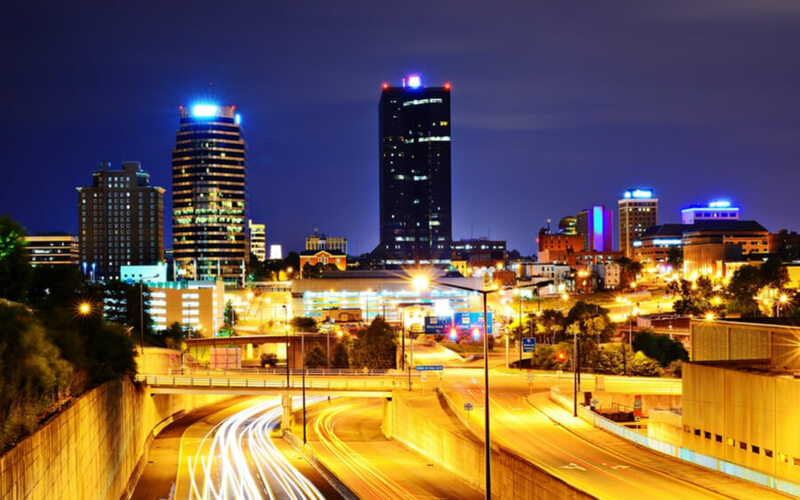 Knoxville location is an outpatient treatment center that also supports the dual diagnosis. Knoxville location is an outpatient treatment center meaning clients can attend meetings and therapies, but they live and sleep in their homes rather than an on-campus facility. That’s why there is no housing info to show at this time. When it comes to Peninsula Lighthouse, only Peninsula Hospital in Louisville offers inpatient treatment for persons with mental health problems. Other locations focus on outpatient services only. Outpatient programs are suitable for persons who are seeking treatment for substance use and mental health problem but want to stay in the comfort of their homes at night. It is also suitable for individuals who have completed a residential treatment program and want additional support to aid their recovery. Outpatient programs are beneficial for persons with early stages of mental health problems and addiction too. Benefits of outpatient services are numerous as they provide guidance, support, regular meetings, but also give clients a sense of freedom and helps them adjust to a substance-free lifestyle more effectively. Treatment at Peninsula Lighthouse lasts between six and eight weeks. Clients attend three to four hour-long sessions a few times a week. The treatment programs focus on the 12-step approach, which is considered standard in the recovery process from drugs and alcohol. After all, the 12-step approach allows clients to take one step at a time, work in stages, and adjust to the new, healthier situation in a more effective way. Meetings address various topics including relapse prevention and what it takes to stay away from drugs and alcohol even after recovery. This is where clients can trade experiences and express their concerns to the group and the counselor. They work together to analyze fears, problems, thoughts, emotions all of which is necessary for successful recovery. The facility also has a specialized Women in Treatment, an intensive outpatient program designed for women without insurance to get much-needed help and treatment they need. It’s also important to mention that dual diagnosis cases are supported; clients with these needs see their psychotherapist on a weekly basis. Thousands of people across the country have mental health and addiction problems, but they don’t get much-needed help because costs of treatments are way too high. Recovery from mental illness and substance abuse should not be a luxury; it needs to be available to people from all walks of life who need help. Fortunately, Peninsula Lighthouse belongs to the group of treatment centers that made sure their treatment programs and services are available to all people regardless of their financial status. They use a sliding scale to help patients in need cover costs of the treatment. Some programs and services are covered by Medicaid and Medicare. Clients without insurance can opt for the self-pay option, but if they don’t have enough money, there is state financial aid for those who qualify. It’s important to mention that most private insurances are accepted as well as military insurance. Clients are encouraged to contact Peninsula Lighthouse for more information about the costs of the treatment, insurance coverage, and payment options. The treatment center is accredited and licensed by the state of Tennessee. Unfortunately, the official website of Peninsula and Parkwest Medical Center does not provide information about other certificates and accreditations. Peninsula Lighthouse is all about quality of service which also means gathering a team of professionals with vast experience, skills, and knowledge to care for clients who seek recovery in this organization. Their staff consists of psychiatrists, clinicians, nurses, and other professionals. Their names and biographies aren’t revealed on the website, but if we bear in mind Peninsula Lighthouse has the great reputation we can conclude their team members work hard and use their experience and knowledge to help men and women in need to start a healthier and substance-free lifestyle.